Looking for your next ski resort in Norway? 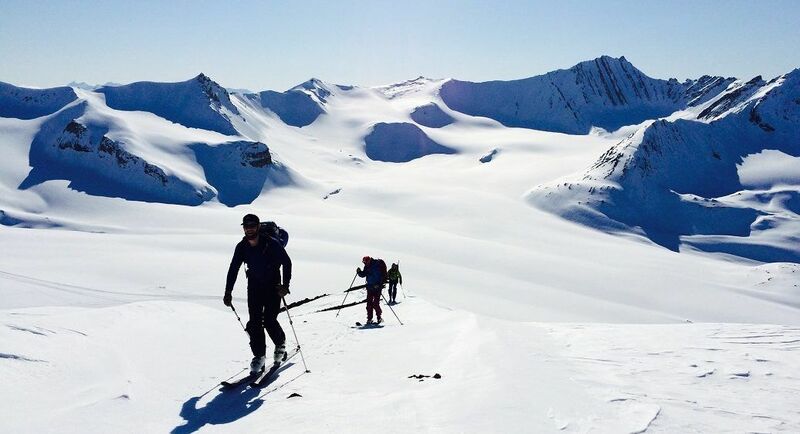 Planning a ski trip to Norway? Use our comprehensive guide to find ski resorts in Norway. Use the list below to find all ski resorts in Norway. Click on the specific ski destination to get more info. On the list you can find information about mountain stats, snow reports, weather forecast, lift info and slope statistics. Let us help you to find your next favorite ski resort in Norway. Where should I go skiing in Norway? If you’ve asked yourself this question while planning your next ski holiday, then our big database is here to help you. Find the best ski destinations in Norway and start planning your vacation right here. What is special about ski resorts in Norway? The ski season in Norway is one of the best in the world. Whether you’re dreaming of wide snowy slopes with white perfect snow or deep wild powder. Norway has it all! Go to Norway to ski and you will experience all that any skier dreams about. Lots of sun, deep snow and good beer and world-class après ski.Norway offers many different ski resorts and destinations. Norway has everything from small cozy mountain villages to large modern cities with smart shops and centers. Lots of destinations also offer ski-in ski-out, which is ideal for families with children. If you are for group holidays, Norway is ideal. Many ski resorts in Norway offer great cozy cabins, apartments or hotels. Many skiiers around the worldhave started the skiing career in the Norwegian mountains. Especially the many cabins with ski-in / ski-out make it easy to get skiing holidays to be a success. If the kids get cold you can easily ski back to the cabin and get some hot cocoa and renewed energy. In the Norwegian mountains there is also the possibility of many other child-friendly activities than skiing. It is a canoeing and dog sledding, as in the Norwegian ski huts there is often a toboggan for the children. The popular destinations such as Hemsedal, Hafjell and Geilo have snow from November to May. The ski resorts around Lillehammer are especially known for having held the Winter Olympics in 1994, where the runway was settled in Kvitfjell, which hides just outside the top 10 list of the most visited ski resorts in Norway that are found on the right. Many skiiers choose Norway for the many famous ski areas and to stay at the traditionally Norwegian high mountain hotels or cozy Norwegian ski huts. Resort The name at the ski & snowboard resort. If some resorts are connected to other resorts in networks* and have combined their names, Ski Resort Statistics will split these up anyway. For example, with “Flachau / Wagrain / Alpendorf” in Norway. On our website we have divided these resorts individually: “Flachau – Flachau / Wagrain / Alpendorf“, “Wagrain – Flachau / Wagrain / Alpendorf” and “Alpendorf – Flachau / Wagrain / Alpendorf“. That way, it is possible for you to find the city / resort you are looking for while we providing the correct information. Network The name at the network the resort operates with. Child friendly Is the ski resort child friendly or not? We evaluate the resort’s family friendliness based on certain criteria and parameters. It includes: number of starts slopes, family offers, ski schools, childcare, prices on ski passes, etc. Ski pass prices adult The price shows what it costs for 1 adult for 1 day in the main season in Euro€. For resorts outside of EU, and EU-countrys there don’t use Euro €, we have converted the amount to Euro €. For example, we have converted all US resorts using Dollar $ to Euro €. This we have done so our database becomes more transparent and comparable. Ski pass prices children The price shows what it costs for 1 children for 1 day in the main season in Euro€. Season Shows when the resort normally start and end the ski season. Note that it allways will depend on the weather and snowfall. Ski map Link the latest updated ski map for the resort. We try to redirect you to the official resort ski map. User rating From a scale 1-5, where 5 is the best, how do the users of the resort considering the resort? E-mail Official e-mailadress to the resort. Website Official website to the resort. Beginner slopes The total amount of “beginner” slopes in kilometer at the resort. “Beginner slopes” contains “children”, “blue” and “green” slopes. Intermediate slopes The total amount of “intermediate” slopes in kilometer at the resort.“Intermediate slopes” contains “red” slopes. Difficult slopes The total amount of “difficult” slopes in kilometer at the resort.“Difficult slopes” contains “black”, “advanced” and”expert” slopes. Longest run The longest possible run at the ski resort, without using any lifts. Snowparks Does the resort have one or more snowparks, or not? Nightskiing Does the resort offer skiing on illuminated slopes? Chairlift etc. The total amount of chairlifts. Gondola etc. The amount of lifts in this category: Gondola, Train lifts, Funicular, Combined gondola and chairlifts, Helicopter lifts, Snowcats and Aerial tramways. Lift capacity How many passengers can the lift system at the ski resort mowe in one hour? Total lifts open The amount of current open and runnings lifts at the ski resort. Total Snow cannons The total amount of snow cannons at the ski resort. Avg snow last 5 seasons The average snow depth for the last 5 seasons. The average is calculated by taking the mean of the snow depth at the top and bottom of the mountain. Calculated on the basis of either winter season (week 45 to 15) or summer season.